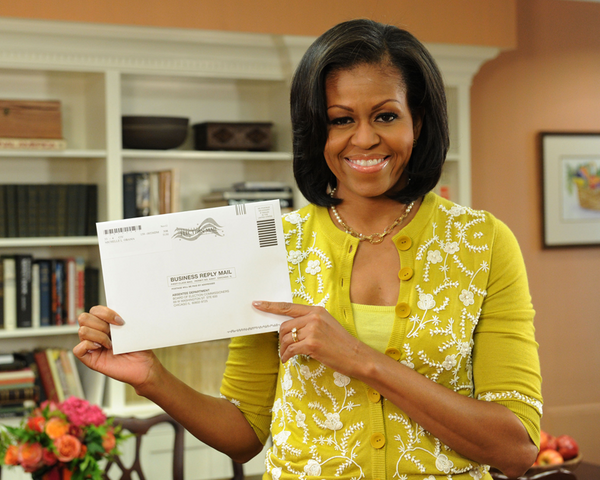 First Lady Michelle Obama prepares her absentee ballot. 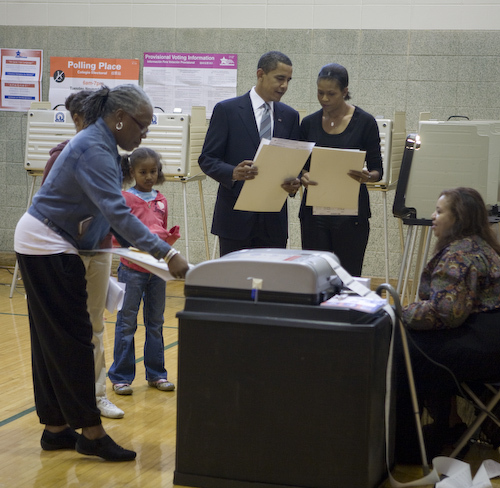 Democratic Presidential Nominee, Senator Barack Obama and his wife Michelle vote in Chicago, IL on election day, Nov. 4, 2008. 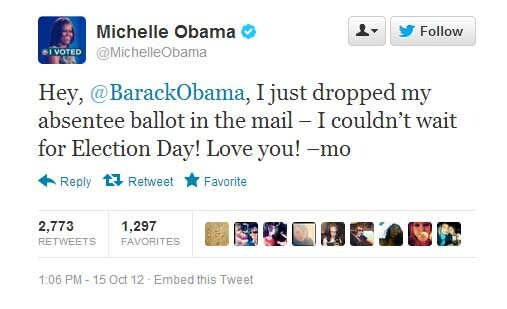 President Barack Obama and First Lady Michelle Obama announced Monday afternoon that they were voting early in the 2012 Presidential Election and, in the case of the First Lady, early and absentee. 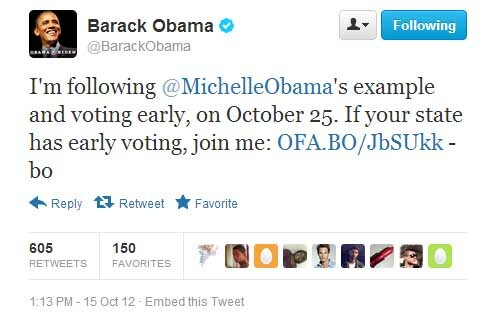 According to a statement released by the Obama campaign the pair "are making history by voting early in person and by mail in order to promote the ease, convenience, and importance of voting." The Obama campaign has put a large emphasis on early voting in this election, as demonstrated in these videos for the campaign targeting swing states like Ohio and Iowa. Early voting in Illinois begins October 22 and ends November 1; voter registration ended October 9. 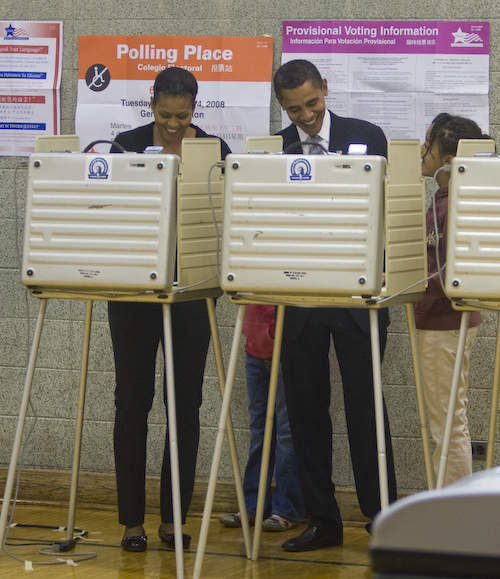 Since we&apos;ll miss the whole family voting together this year, here&apos;s a few photos of the pair -- with their children Sasha and Malia -- voting in Chicago at Beulah Shoesmith Elementary School on Tuesday, November 4, 2008.